Don’t kill a spider in your house. It’s bad luck. Don’t sweep a broom across the ceiling. It’s bad luck. But how else are you going to get the webs left behind by the spiders? Do not under any circumstances are you ever to split a pole with the person you’re walking with. I don’t know why but I’m pretty sure it leads to bad luck. Growing up in Arizona I was always told you are to never see a new baby and not touch his/her forehead. Horrible stuff can happen. If your right hand itches you’ll get money soon. If your left hand itches you’re going to get an important letter in the mail. If your feet itch you’re going to travel some place new. Personally I think if all that itching is going on you should get it checked out. 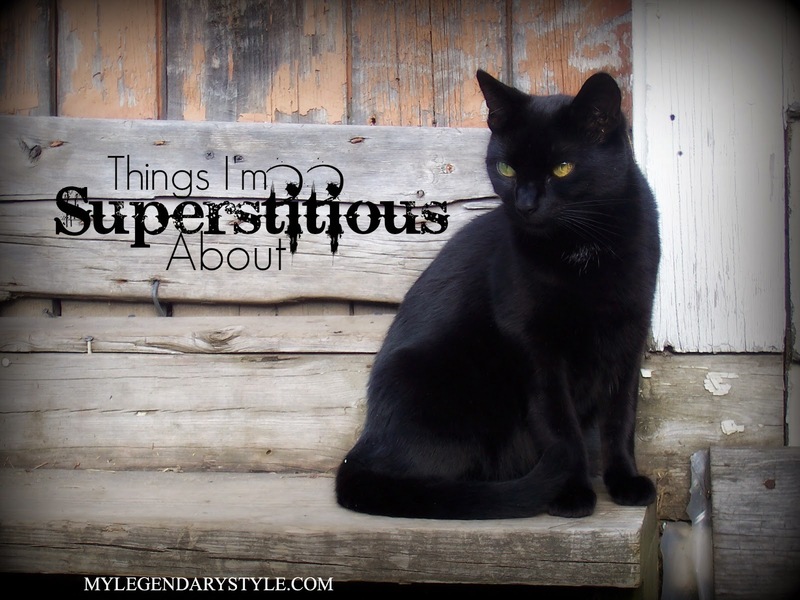 What is the craziest superstition you've ever heard of? Hahaha love your last comment! You really shouldn't be that itchy! I heard that if you split a pole, the older person will die sooner, and killing a spider will cause rain. I've never heard about touching a baby's forehead, I'll have to be careful not to do that! Omg! The pole superstition is worse than I thought lol Yeah if you really believe in that stuff than always ask and then touch the baby's forehead. There are so many spiders where I live. If they are really big we put them outside. The small ones don't bother me. Okay these are some crazy superstitions. I do have to admit I am pretty superstitious, but then again most Italians are. We believe that if salt spills while you cook, then your food will come out tasting awful or you'll get sick from it. If you don't throw salt over your right shoulder than your food will burn and lastly if someone sends negative vibes your way then you need to cure yourself or the molochio will be after you. But being as superstitious as I am, I still don't believe in all of these..some are just plane silly. LOL Wow those are interesting. I like hearing about superstitions but some are creepy.